The Panasonic Arc 3 line of shavers has been around since 2008. During this time, there have been some incremental updates to this series, consisting mainly in some visual updates and a few other improvements. 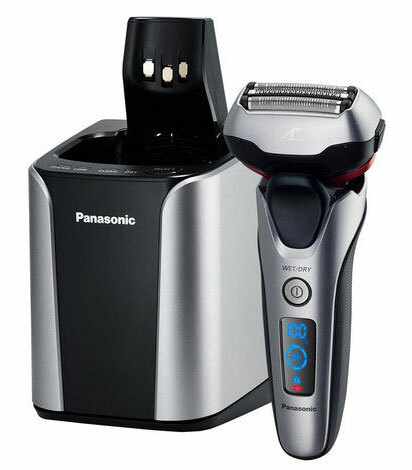 In 2015 at the International CES Panasonic unveiled the new LT-series Arc3 electric shavers. This time around, the update was a significant one, a complete departure from the older models. Let’s see exactly what Panasonic’s new budget-oriented line of electric shavers has to offer. Multi-flex pivoting head. Until now this was only limited to the more expensive Arc 4 and Arc 5 shavers. The new Arc 3 line now features a shaving head that moves up and down, sideways and back and forth. Beard density sensor. Again, a feature normally found on the range-topping Arc 5 line is also present here. 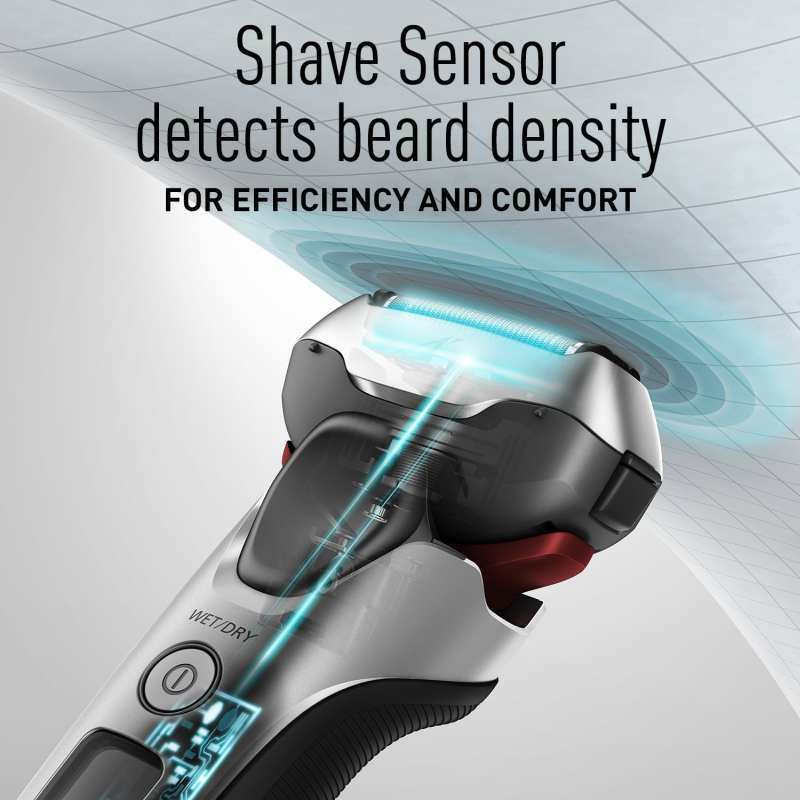 This sensor detects the differences in beard density and adjusts the power output accordingly. Multi-function LED display. You can easily check the remaining battery or travel lock status. There are currently 3 variations of the Arc 3 LT line available on the North American market: ES-LT7N-S, ES-LT5N-H and ES-LT3N-K.
As you can see, the differences are only related to the included accessories (a cleaning & charging station or a simple charging stand) and the color scheme. Also, the ES-LT3N-K features an all-plastic body, while the other two use metal for the silver front panel. The shaving performance of all these three models is identical. How do the new LT shavers compare to the old Arc 3? As previously mentioned, Panasonic redesigned the Arc 3 line completely from the ground up. The first major difference compared to the older generation is the design. Subjectively, I think the new shavers look significantly better and have a much more premium feel, resembling the new Arc 5 razors. They are also larger and the shaving head is bulkier. We’ll find out in our review how this will impact the ergonomics of the shaver. 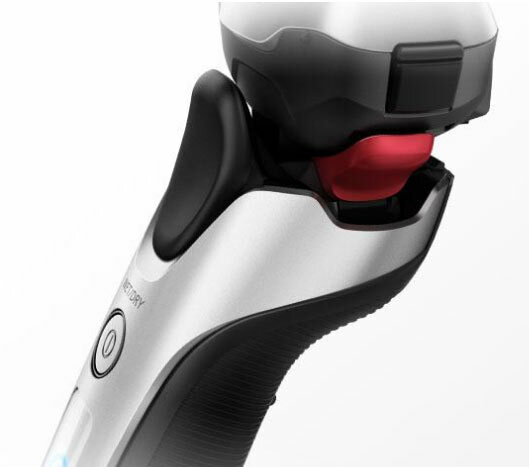 What constitutes a definite improvement in terms of ergonomics is the new thumb-rest on the front of the shaver, the generous rubber grip and the locking mechanism of the shaving head. The thumb-rest and generous rubber insert on the new Arc3 LT shavers. 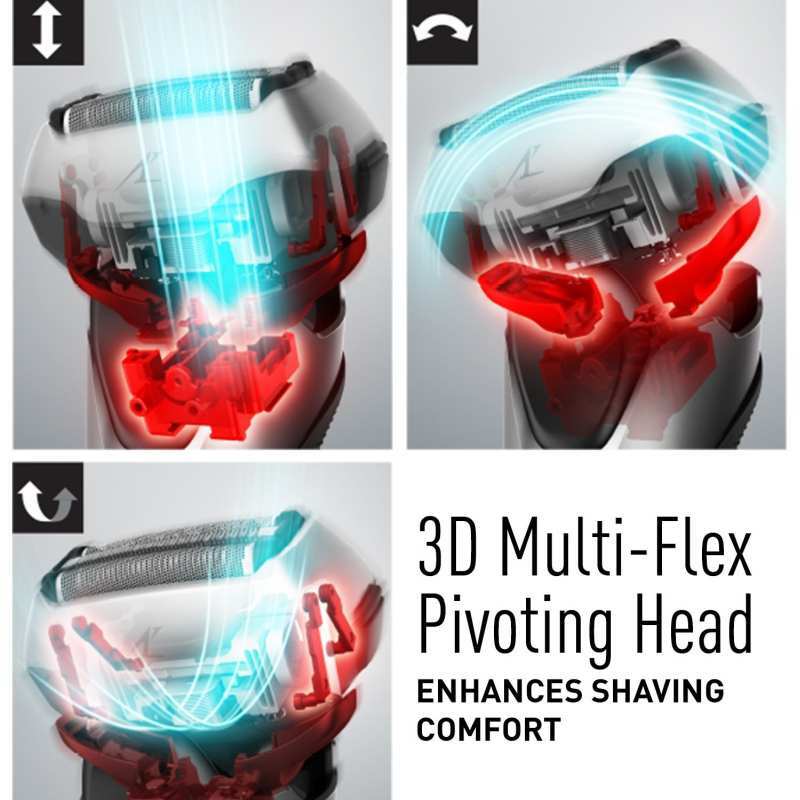 We also have to give props to Panasonic for including some of the technologies found on their superior shavers, like the multi-flex pivoting head and the beard density sensor. The new cleaning station is very compact and uses a detergent-based solution. I don’t consider cleaning stations to be a must-have with any Panasonic shaver, but they are quite nice and more economical compared to the ones from Braun. 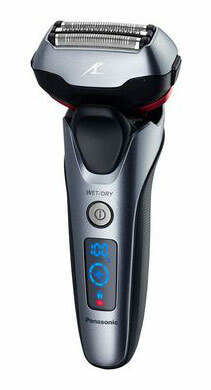 Performance-wise, I expect the new Arc3 LT shavers to be better than the older generation. How much better? That’s something we will be finding out pretty soon. UPDATE: Here’s our review of the new Panasonic ES-LT3N-K Arc 3. This is where things go a bit sour for the Arc3 shavers. The premium look and feel of the LT razors also come with a rather premium price tag. The basic ES-LT3N-K is the more affordable options, while the other two are considerably more expensive. The price will likely go down in time, but at this moment they aren’t exactly for the budget-oriented buyer. The direct competitor of the Arc3 in the entry-level segment used to be the Series 3 from Braun. But considering that the Series 3 3040s can be bought for a lot less, I don’t think that’s the case anymore. To be perfectly honest, the older Arc 3 had the edge over the Series 3 in terms of closeness and speed and I expect the new ones to be even better. But again, it remains to be seen exactly how much better and if the difference in performance justifies the significant price gap. The Arc 3 also includes the new RT and SL models, but their MSRP is still pretty high considering that they are fitted with a significantly less powerful 8500 cpm motor and a basic shaving head. The new Panasonic Arc3 LT electric shavers are definitely a major step up from the old generation. They look like a high-end product and, at least on paper, their specs match the premium feel. The price is unfortunately quite high at this moment but that’s not unusual for a recently launched product. Stay tuned for our review of the new Arc 3 LT line to find out if their performance meets our high expectations. You can also read Panasonic’s press release here. Hello Ovidiu, I enjoy your work on this site and hope you can help unravel my dilemma. 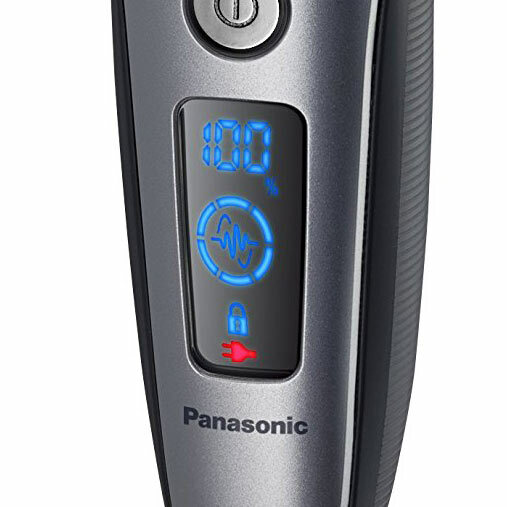 I am happy with my old Panasonic ES8103S, dry shaving my light to moderate beard daily, making several passes all over and skimming my neck lightly with the trimmer before finishing there with the razor head. Lately the battery has started holding a charge for less time and though Amazon just had the ES8103S for $40, I’ve started thinking about an upgrade rather than a mere replacement. My obvious upgrade path may be the current Panasonic ES-LT3N-K, on Amazon currently for $110. Is your review coming soon? Panasonic ES-LA63-S Arc4 on Amazon now for $120. Panasonic ES-LV65-S Arc5 on Amazon now for $135 – this gets particularly rave reviews on Amazon. I will definitely be reviewing the ES-LT3N-K, but can’t really tell you when as I am already in the process of testing several other razors. The ES-LT41-K isn’t really an upgrade to your ES8103S in terms of performance; I’d say that they are pretty much the same, but the ES-LT41-K does look more up do date and takes some design cues from the Arc 4 and 5, like the travel lock. The ES-LV65-S is a fantastic performer, but for a moderate beard and daily use I’d say that it’s a bit overkill. The massive shaving head also takes some getting used to. Same goes for the ES-LA63-S. But again, if they fit within your budget I think you’ll eventually be very pleased with either of them. 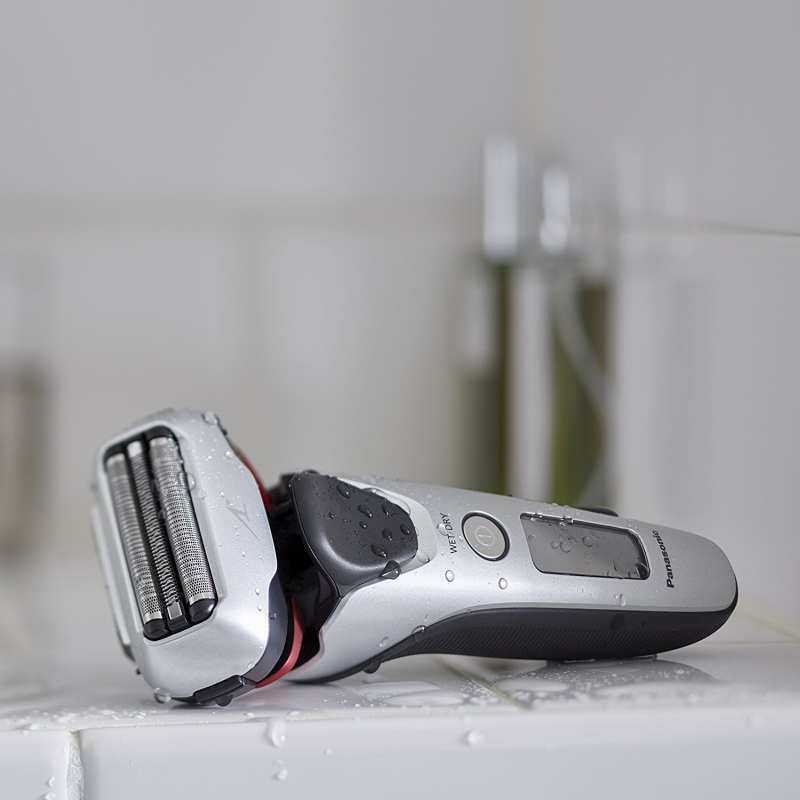 Given your beard type, shaving habits and the fact that you were satisfied with your Arc 3, the ES-LT3N-K would make more sense than the other shavers you mentioned. $110 is a bit pricey for an Arc 3, despite the obvious improvements in quality and design compared to the previous generation. I haven’t tested it yet, but so far I’ve only read stellar reviews about it. And given Panasonic’s track record, I am pretty sure that they are accurate. A few weeks ago it was on sale for $89, that would have been a fantastic deal. I’m pretty sure that it’ll go down again, so if you’re not in a hurry maybe you can grab it for a great price. I am confused with the following two models on Amazon. Based on current price tag and the fact that there is an open box on ES81o3S. Would you please clarify which one is a better choice for purchase. I would personally opt for the ES8103S, especially if I could get a much better deal on it. 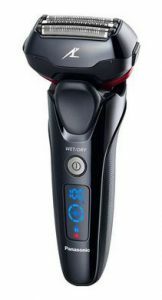 The reasons are outlined in this review of the ES-LT3N-K: the ES-LT3N-K features a much larger shaving head despite having only 3 blades, the flexing of the head is annoying, the beard density sensor is pretty much useless and finally, the shaving performance is very similar to the previous generation shavers like the ES8103S or ES-LT41-K. They even use the same foils and blades. For these reasons I would actually get one of those instead. Thanks. I will do so.